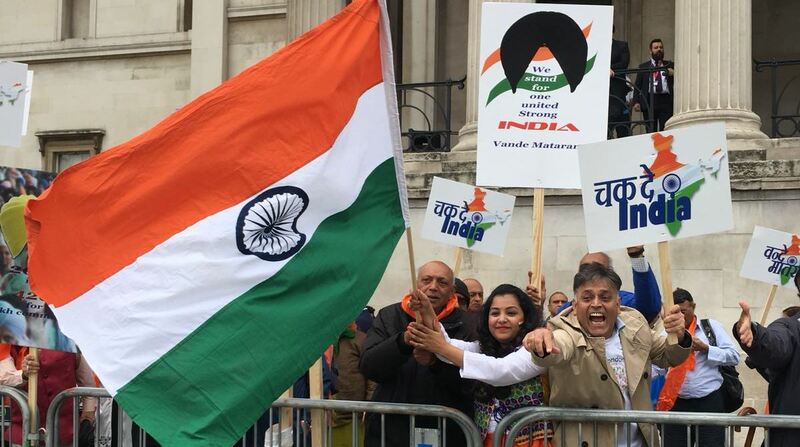 Vijay Mehta, Bharatiya Janata Party’s (BJP) convenor for UK and Europe, said that the pro-India rally was organised by the London unit of his party. Holding placards that read ‘Waheguru, save us from 2020 madness’ and ‘Sikhs for United India’, Indian-origin Britons beat drums and cymbals marking their protest against the ‘Referendum 2020’ in London on Sunday. Hundreds of protesters were seen hailing the Sikhs for their contribution to India’s history while countering the separatist campaign organised by an organisation called Sikhs for Justice (SFJ) which is calling for a “separate Sikh state of Khalistan”. “Overseas BJP, London unit, organised a massive show of about 800 people to counter pro-Khalistani supporters at Trafalgar Square,” he said. Supported by Britain’s left-wing Green Party of England and Wales, the SFJ held a rally at the Trafalgar Square in London under ‘London Declaration for Referendum 2020’. No other British party extended their support to the rally. On the other hand, the organisers of the event, ‘We Stand With India’, were seen dancing and singing patriotic songs while waving the tricolour at the protest venue in opposition to the “divisive” agenda of the SFJ. Chairman of the British Sikh Association Dr Rami Ranger dismissed the pro-Khalistan rally as a move by a “handful of un-elected and self-appointed Sikhs”. “If they have any merit in their argument, then they should go to Punjab and fight election on the agenda of Khalistan. There is no point embarrassing Sikhs at large along with their Gurus by behaving in an undemocratically manner in a foreign country with a demand of a referendum which is not binding on any one,” he said. The Indian government has said that the SFJ is backed by Pakistan’s Inter-Services Intelligence (ISI). Cutting across party lines, politicians in India criticised the demand of the SFJ for Khalistan accusing Pakistan of trying to destabilise India through Punjab. Punjab Chief Minister Amarinder Singh had dismissed SFJ as a “sham organisation” stating that he is not worried about the fringe elements behind this campaign. “They have been at it [creating disturbance] for long and have been playing in the hands of the ISI, which has an open agenda to foment trouble in Punjab and India,” he said. “If these elements think they can come and disturb the peace of my country, they are mistaken,” Singh said. Though India had asked the British government to get the event cancelled, London refused stating that “in the UK people have the right to gather together and to demonstrate their views, provided that they do so within the law”. The Ministry of External Affairs (MEA) in New Delhi had issued a statement on Thursday expressing its disappointment at the stance. 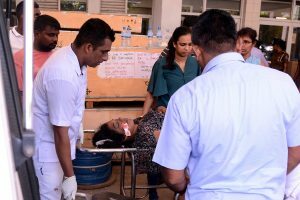 “We have said that it seeks to propagate violence, secessionism and hatred and we expect them to take into account the larger perspective of the relationship when they take a decision on such matters,” MEA spokesperson Raveesh Kumar said.